Wow Factor: how much a pair? Sacred brands in audio are bought and sold en masse all the time, but a few years ago there was a business transaction involving the fabled KLH brand. 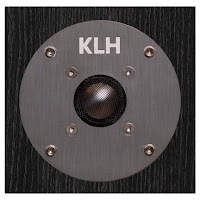 You remember KLH, it was founded by audio deity Henry Kloss (AR, KLH, Advent, Kloss Video Corp. Cambridge Soundworks and Tivoli Audio), who was quite an audio VIP in the 1950s through the 1990s. Long-time audio speaker player David Kelley, who worked for many years at Klipsch, bought the KLH brand and has, subsequently, created a crafty blend of high-value/performance hi-fi speakers that, I believe, Mr. Kloss would be proud of. The new KLH has a lot to live up to. 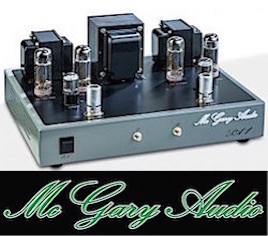 Over the years, I owned several pairs of original AR’s, KLH’s and Advents, as well as an AR turntable and the famous KLH Model 8 tube FM table radio. The new KLH, based on my review of the flagship Kendall speaker here, is hitting the target of good sound/great pricing formula created by the original KLH. 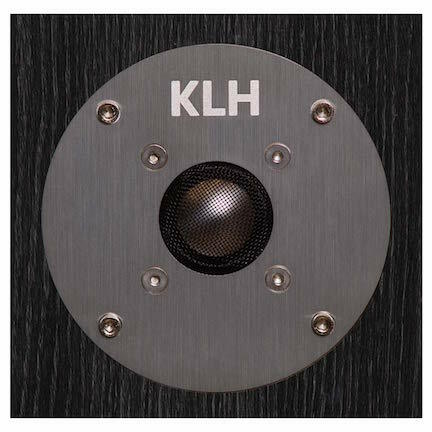 Today, under David Kelley and Co., the new KLH features designed-in-USA, manufactured in China speakers that offer performance that defies the cost. The flagship KLH Kendall reviewed here is an incredible $1,299 retail per pair, and I have seen them as low as $975 on special deals. 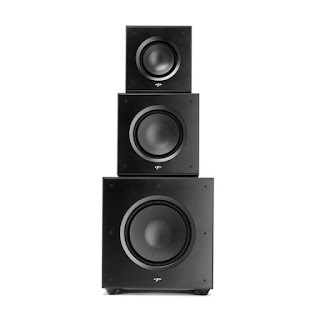 At a street price under $1,000, these towers can do a budget audiophile, or even a picky, high-end audio guy proud. Balanced, smooth and uncolored in its midrange projection, the Kendall has a lot going for it — in terms of price/performance! I met Kelley and his KLH team at the 2018 CEDIA Expo last Sept. and got a chance to listen to the Kendalls and talk to the gang about their new ventures, previous audio biz lives — as well as sample the whiskey that was flowing freely. (Man does not live by sound alone). When they fired up the Kendalls with a high-end tube amp and let me sample various bits of Jazz and Classical music, I immediately found the KLH tower nicely balanced — without the cheap speaker crossover bump and soggy mid bass — I often hear in the $1,000-$1,500 range. In fact, after more listening, I thought the Kendalls sounded quite good, though I thought the tube amp was a tad slow for my taste. 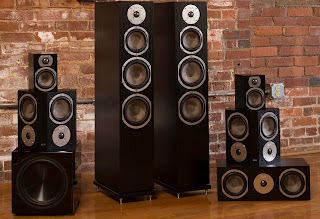 After my first Kendall listening session, Kelley queried me, asking me “how much do you think these speakers retail for.” I responded with a rather wide swath of price range, estimating a $3,500 to $5,000 range. When Kelley told me the actual $1,299 retail, my jaw dropped. After I left the demo, KLH promised to send me a pair to review. KLH woofer muscled down to low 30 Hz i n my room. A few weeks later, a pair of Kendalls dropped on my door step, and I commenced to testing them for EAN, matching them with high-end solid state amplifiers (Pass Labs, Benchmark, Bryston, an original McIntosh MC275, Mytek Brooklyn Class D) and even a few top-tier home theater receivers from such companies as AudioControl and Onkyo. It did not matter what I powered the KLH towers with, they sounded good with everything. 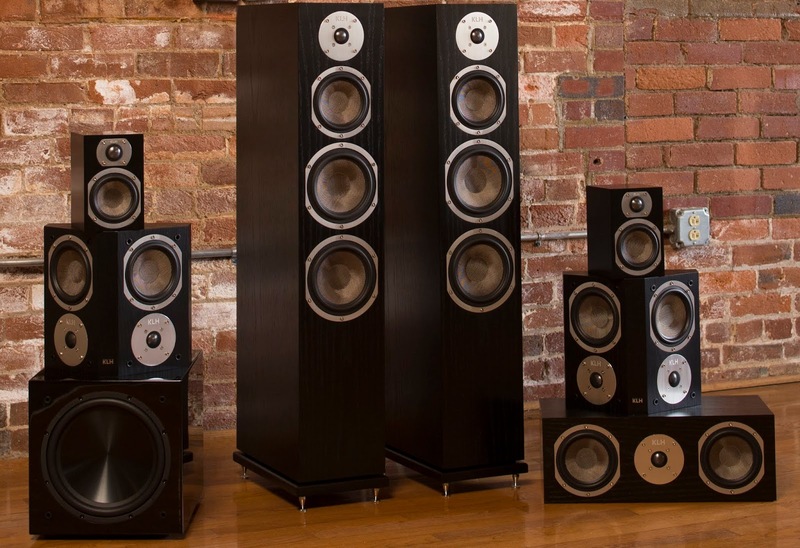 Sure there was some extended refinement with the upper-end amps, but the Kendalls showcased an accurate, balanced speaker sonic impression that nicely fills small to medium listening rooms with good-sounding music. Just like I heard it at the CEDIA demo. The three-way, bass reflex KLH Kendall tower speaker features two 6.5-inch Woven Kevlar bass drivers, a 5.25-woven Kevlar mid/bass driver and a “high-performance” 1-inch anodized aluminum tweeter with a linear response faceplate. Each driver sports butyl rubber surrounds and braided, tinsel leads. 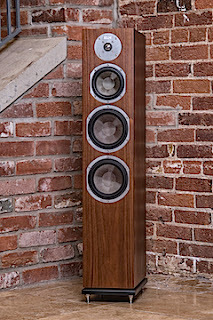 For the money (and then some), the KLH speakers feature real wood veneer made from black oak and American walnut. The MDF construction with custom-designed, internal low-resonance, driver chambers and bracing optimize the acoustic inertness of the cabinet. Sound smearing affects are kept to a minimum. Other construction pluses include powder coated, die-cast aluminum driver baskets, with oversized magnets and brushed-aluminum tweeter faceplate and driver fascia. 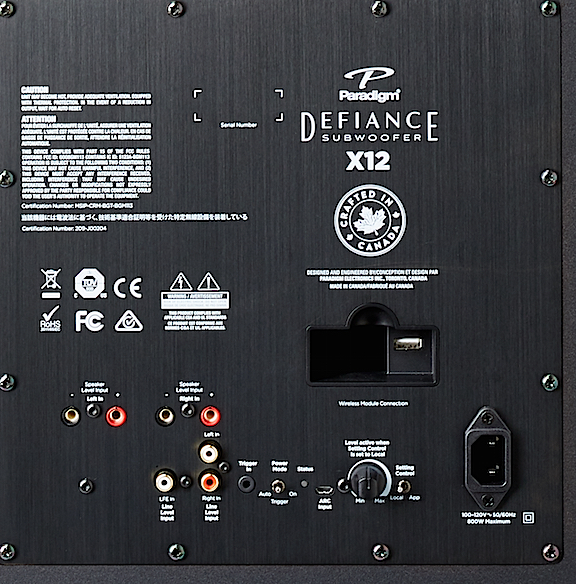 The passive crossover network sports multi-elements with high-grade components to ensure smooth and natural transition between drivers. The crossover points are at 800Hz and 2.5kHz, 12 dB per octave. The speakers also include a black satin MDF base for additional mount stability, and chrome plated steel spikes and rubber feet for additional decoupling. 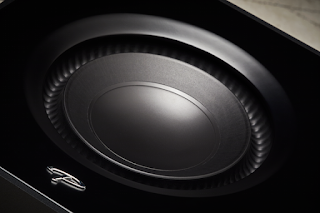 The speakers use magnetic-mount grilles that feature a custom honeycomb design. Factory rated specs list a 25 Hz-23 kHz +/-3dB frequency response; Sensitivity, 96 dB; Power handling, 250 watts; Impedance, 8Ω; Dimensions, 40” x 7.75” x 14.75” (H x W x D); Weight, 50 pounds each. I tested the speakers in several home audiophile configurations and the annual Holiday Party for the DC Hi-Fi Group last December. In my home setup, the Kendalls were matched with a number of amplifiers: Benchmark AHB2, Pass Labs X350.8, Pass XA30.5, Pass INT-60, Bryston 14B-SSTII, Mytek Brooklyn Class D, AudioControl and Onkyo receivers, and my old McIntosh MC275. 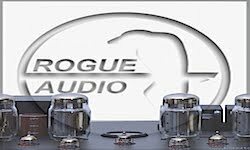 Preamps included a Benchmark HPA4/line stage (one of the most transparent pre’s in the biz), and my Rogue Audio RP-7 tube preamp. 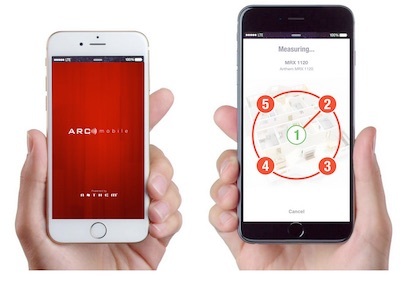 On-duty DACs featured Benchmark DAC3-HGC, Mytek Manhattan II and the Mytek Brooklyn. I also threw in a turntable audition with my Clearaudio Emotion/with Benz Wood MC cartridge. All cables were from Wireworld and the AC was tethered via power cords and a strip from Essential Sound Products Essence line. I placed the Kendalls in my audiophile listening room about 11 feet away from the listening position with speakers toed-in a few degrees and 16 inches from the back wall. Since there is a rear port with available port plug, I did play around with stuffing the port when moving the speakers closer to the wall. I left the grills on initially, but also removed them to compare the covered and uncovered audio difference, if any. First up was the Warren Bernhardt - So Real SACD rip, playing from the Apple Laptop, via the Audirvana player app with the audio fed to the Benchmark DAC3-HGC, which routed its pristine conversion to the Benchmark HPA4 preamp and on to the $13,000 Pass Labs X350.8. 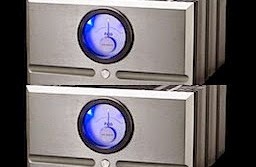 I mentioned that amp’s price because ordinarily you would not imagine mating such an amp to a pair of $1,300 speakers. From the first play of the “So Real” title track, the Kendalls revealed how much of an over performer they are. Wide and deep imaging, smooth mid to tweeter crossover, and a taut bass with good extension down to 32 Hz, -2.5 dB, in my room. The drum kit rim shots and cymbal brushes, plus the Steinway piano tone, on “So Real” had a nice sheen to the top end — without the raggedness I have heard from other metal dome tweeter designs. The Kendall duo sounds great on jazz. On the luscious, organ-drums-jazz guitar recording of The Anthony Wilson Trio - Our Gang, the warm, hollow body jazz guitar, Hammond organ and the laid-back drum persona, was relayed with precision finding the right balance of warm bass-to-treble ratio. The organ’s lower register is the bass, but it did not overwhelm the Kendalls. The top-end presence of this recording came through just fine. For this kind of money, the top end was way more than I expected. Moving on to the Joe Pass/Ella Fitzgerald collaboration, Easy Living, from a 1986 ;ive recording, remastered to DSD, Mr. Pass’ excellent, succinct note playing on the Gibson ES-175 guitar and Ms. Fitzgerald’s pleasing vocal range on the album’s jazz vocal standards were delivered with a focused, balanced tone that showed little diminishment when compared to speakers that are thousands more. The vocal clarity and lack of excessive sibilance showed me how serious the Kendall is. 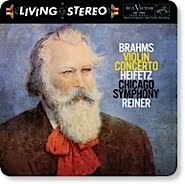 On the CBS Living Stereo SACD release of Sibelius – Violin Concerto In D Minor, Op. 47, performed by Jascha Heifetz (Walter Hendl Chicago Symphony), Mr. Heifitz’s Stradivarius tone was delivered with the overtones and resonance I come to expect from good speakers. Not quite as fully dimensional as my $10,000 ML Montis electrostatics, but still quite revealing. If you ain’t comparing directly, you fall under the spell of the Kendall quite easily, especially when a pair can be had for under a grand! The plump drum tone and ringing rhythm-guitar propel the catchy, late ‘70s/early ‘80s retro tribute tune, “Get Lucky” from Daft Punk in 2013, and it is easily carried by the Kendalls. 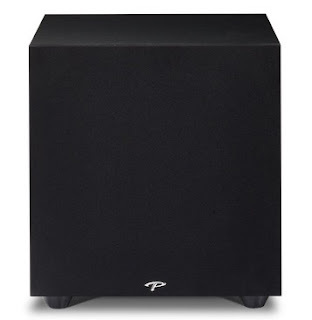 For such a low-cost speaker, the midrange clarity and top-end succinctness is quite noticeable for a speaker in this price class! On Pop music, such as the new reissue/remix of The Beatles - White Album (24/96), the Kendall tower showcases the new mix’s more-forward presentation — with an upscale space impression. Imaging is really good with lots of width and bits of extra guitar, strings, backing vocals and percussion filling out the space in between. And, again, with the speakers well out from the wall, I did not notice any excessive bass bloom in the midbass. The 2013 mega Pop hit “Get Lucky” from Daft Punk (the Random Access Memories album) — with that funky Nile Rogers/Chic guitar riff and Pharell Williams lead vocal — was presented in its percussive, dynamic, energetically driven wall of sound. The plump drum tone and ringing rhythm guitar propel the catchy, late ‘70s/early ‘80s retro tribute tune that is carried easily by the Kendalls. 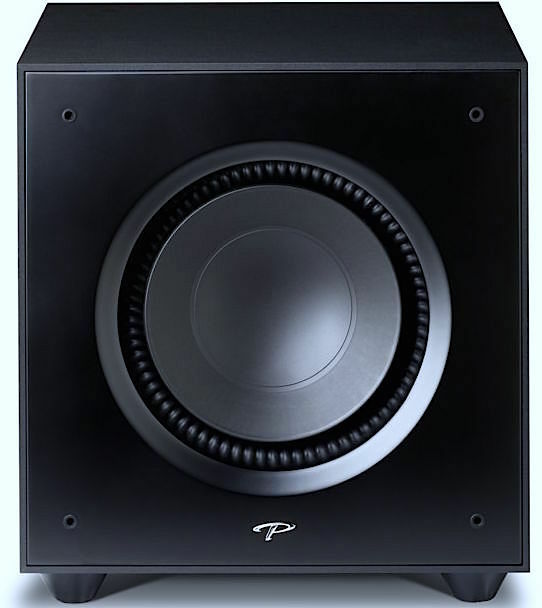 For such a low-cost speaker, the midrange clarity and top-end succinctness is quite noticeable for a speaker in this price class. Did I need more proof of how good the Kendall is? In a play-through of a 24-bit/384 acoustic guitar sample cut I recorded several years ago for a converter company, the KLH tandem rose to the occasion. In 2013, I had recorded this three minute, flat-picked guitar ditty on a custom Taylor 810 dreadnaught guitar. It was recorded with a pair of Audio-Technica AT-4041b instrument mics in an X-Y stereo placement, using an Apple laptop, the Audacity recording app and an Antelope Audio mastering A/D converter. 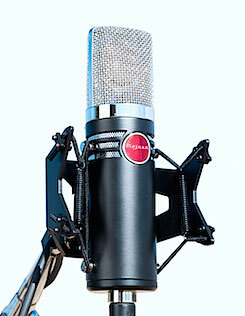 The stereo mic placement makes the recording bigger sounding, in terms of imaging, for just one instrument. On accurate speakers, it has full width and depth, with a bountiful midrange, an airy, low-treble crispness and a tight bottom end. The intricate, flat-picked notes have snappy transient tone — with lots of complex string-to-body overtones. Once again the Kendall’s impressed me with its ability to convey my homebrew 24/384, hi-res acoustic guitar hi-res recording. The balance between slightly crisp and neutral was right there, and the aluminum-dome tweeter produced the high-end attack — without being strident. Just like the Taylor guitar sounds. Once again the Kendall’s impressed me with its ability to convey this hi-res recording. The balance between slightly crisp and neutral was right there, and the aluminum dome tweeter produced the high-end attack — without being strident. Just like the Taylor sounds. The KLH Kendall’s budget-buster, audiophile character was evident with all my amplifiers. The old McIntosh MC275 was a little softer in the bass than the various MOSFET/bipolar output solid state amps and the Class D Mytek Brooklyn, but the old KT88 tube amp still sounded great through the mid and treble — with a slight softening of drum cymbal transients and upper register piano notes. At the DC Hi-Fi Group’s Holiday party in Alexandria, Virginia last December, the audio playback system included the Kendalls and a Pass Labs INT-60; it was quite a match. The Class A-A/B MOSFET amp and Kendalls delivered a very musical character for the various genres of music we played at the party. Plenty of upper-end clarity and bass. On some Pop and Jazz with prominent bass guitar, we noticed a bit of midbass fattening due to the logistical requirement of keeping the speaker very close to the back wall. The port plug fixed most of this mid bass proximity effect. 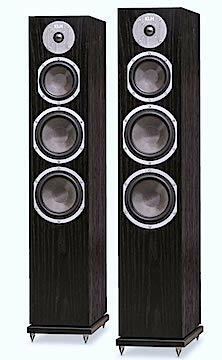 Numerous members commented that they were impressed by the KLH flagship pair. 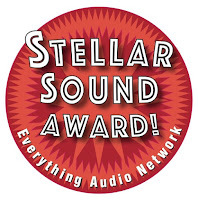 DC Hi-Fi Group Member, and noted speaker builder/reviewer Tom Perazella, remarked that the KLH Kendall was “quite a good-sounding speaker,” and seemed well made. With many hours of Kendall listening under my belt, I can positively say this KLH flagship was a pleasure to listen to and to look at. I know some audiophiles criticize Chinese-made audio products, but in reality, the place of manufacture is not as paramount as is good design, quality parts selection and competent assembly. 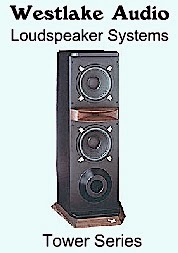 The KLH Kendall three-way, floor-standing loudspeaker is attractive, performs as claimed and its price cannot be beat for a full-sized tower. From the casual listener on a budget to the serious audiophile who desires a cost-effective, hi-fi speaker for a small-to-medium room, this tower should be on your short list. There are lots of high-end audiophile gear and speakers being built in Asia, in today’s economy, that are excellent choices. Even high-end ones like Revel. You can add KLH to the list of quality Chinese-built speakers. A good speaker is a good speaker. Who cares where it’s built? 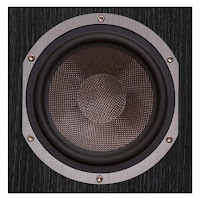 I had not one problem with the tested KLH speaker tandem or any negative. 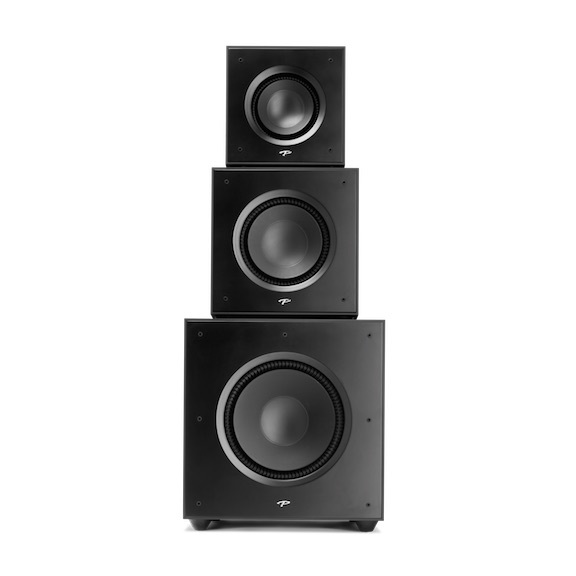 At a street price under $1,000, these towers can do a budget audiophile, or even a picky, high-end audio guy proud. Balanced, smooth and uncolored in its midrange projection, the Kendall has a lot going for it — in terms of price/performance. 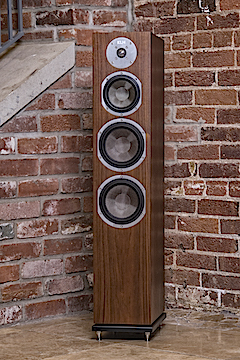 The KLH Kendall three-way, floor-standing loudspeaker is attractive, performs as claimed and its price cannot be beat for a full-sized tower. From the casual listener on a budget to the serious audiophile who desires a cost-effective, hi-fi speaker for a small-to-medium room, this tower should be on your short list. 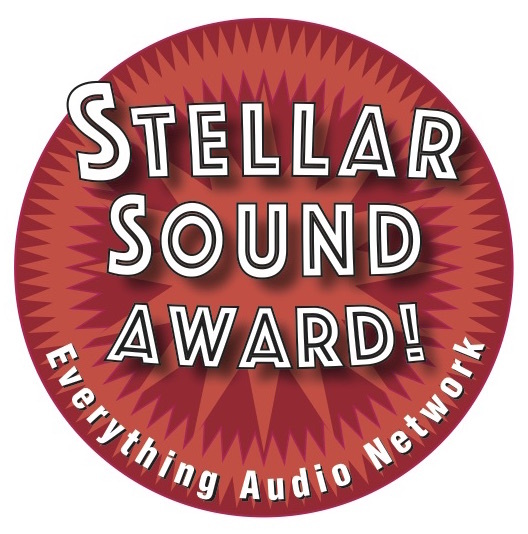 It receives our Everything Audio Network Stellar Sound and a nomination to the EAN Speaker of the Year list, which will be revealed in December. Way to go, KLH. Henry would be proud of the Kendall.